As much as you may like to believe you’re perfect, no matter what your star sign, you’re bound to have a weakness or two. You’re only human and we all make mistakes. However, there’s nothing to stop you from reflecting on your weaknesses and making an effort to overcome your flaws. 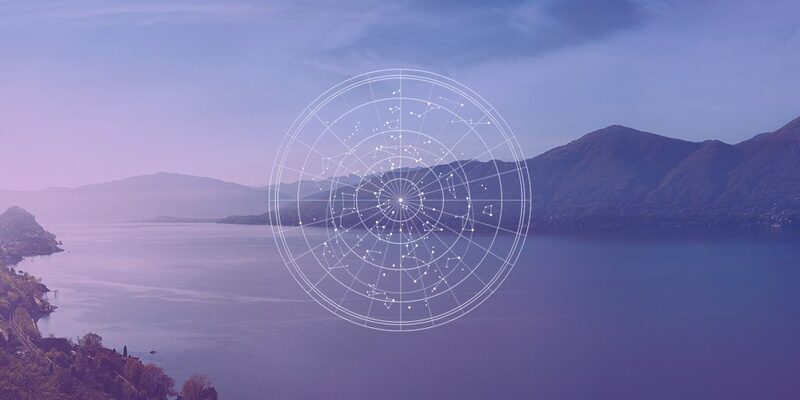 If you’re on a voyage of self improvement, it could be worth turning to the zodiac for inspiration and guidance to be better versions of yourself. After all, your star sign can have a large impact on your personality, behaviour, strengths and weaknesses. Dependable, loyal and kind – that’s you in a nutshell, Taurus. However, despite your many positive traits, you do have a tendency to be stubborn and uncompromising. Although your friends appreciate your reliable nature and know you’d go out of your way to help them in times of need, they also know just how difficult you can be once your mind’s made up. Whether you’re protesting a change of plans or refusing to change your mind after being presented with new information, your stubbornness can cause arguments. Although you’re creative, curious, energetic and affectionate, you have a tendency to be fickle and have inability to focus. You’re easily distracted and sometimes make a habit of flicking between different activities. Although this attitude has helped you diversify your skill set and make new friends, it could also be standing in your way of success. Could it be time to knuckle down and commit, Gemini? Your tendency to change path on a regular basis sometimes sees you abandoning others and letting people down. Turn off distractions and focus on one thing at a time. Log out of your social media accounts, turn your back to the window, and crack on with the task at hand. If you find yourself getting distracted, force yourself to focus again. It will be hard at first but you’ll get used to it with time. You’re a sensitive soul, Cancer, and you have a real ability to show compassion towards others while fiercely protecting those closest to you. However, despite your many redeeming qualities, you struggle to let go of the past. You let bad memories cloud your judgement and have a tendency to hold grudges instead of moving on with your life. Warm, humorous, passionate and generous, you’re a great person to have around, Leo. People love spending time with you and your happiness is contagious. However, just like everyone else, you do have your weaknesses. You can be arrogant, inflexible and, dare we say it…lazy! You’re a leader by nature but this desire to be the boss can sometimes see you passing your responsibilities onto those around you rather than mucking in and getting things done yourself. It’s time to swallow your pride and get your hands dirty, Leo. By showing that you’re willing to do your fair share, you’ll help others, gain more admiration from those around you and progress your career in the process. Your friends know they can always rely on you, Virgo. You’re a practical thinker with an analytical mind. You’re hardworking, kind and loyal. However, your ability to analyse often sees you go overboard. You worry too much and can be overly critical of both yourself and others. You sometimes get stressed out over problems that, in the grand scheme of things, aren’t that big of a deal. It’s time to get your priorities in order, Virgo, and assess what really matters to you and what really doesn’t. Are you taking on more than you can handle? Learn to say no to things every once in a while and walk away from situations that are causing more trouble than they’re worth. This may be hard at first but it will be worth it in the end. Try to live in the present rather than thinking too much about the future, Virgo. When faced with a challenge such as a job interview or a presentation, you have a tendency to imagine a negative situation 100 times in your head before you’ve given yourself chance to actually live it. Give yourself the benefit of the doubt. You never know how things could turn out. You’re a social butterfly with an ability to be diplomatic and gracious. Fair and cooperative, you’re a great friend and fantastic co-worker. However, although people love working with you and spending time in your company, they’re sometimes scared of getting on your bad side. Your indecisiveness and habit of carrying a grudge can make people reluctant to cross you. You may think that your reluctance to confront people about their actions makes you a better person but in reality this inability to openly say what you think can cause conflict. If you disagree with something a person has done, talk to them about it. You don’t have to go in all guns blazing or make the conversation negative. Simply explain how you feel and see if you can find a solution. You’re a passionate person, Scorpio. You’re passionate about working your way up the career ladder, you’re passionate about pursuing your hobbies, and you’re passionate about love. However, this passion can also make you jealous and distrusting. Your possessive behaviour can be destructive when you’re in a relationship. Although jealousy is a natural human emotion, it’s not healthy to let it spiral out of control or take over your life. If you’re jealous of your partner’s friendship with another person or you’re scared they’re cheating on you, talk to them about your feelings in a calm and neutral environment. Acknowledge that you want to overcome your jealousy and avoid making any accusations or placing the blame on your partner. Remember, a relationship without trust is like a car without fuel – you can stay in it all you want, but it won’t go anywhere. Your sense of humour and generosity make you a great person to be around, Sagittarius. However, that doesn’t mean you’re perfect – although you like to think you are! You sometimes say things that are undiplomatic and you can be so impatient that you come across as being rude. When you find yourself losing patience, take deep breaths and count to 10. Although it may feel as though you’re not in control of your emotions, you’re the only person who can control how you react to a situation. Rather than getting angry, panicked, or frustrated, try to empathise with other people and listen to them. Remind yourself how silly you’re being and try to distract yourself with other activities. Chances are you’re the responsible one of your social group, Capricorn. You’re disciplined, a great manager, and can exercise excellent self control. However, you can also be a little bit of a know-it-all. You have an unforgiving nature and whether someone has done something that affects you badly or they’ve done something you disapprove of, you can be judgemental of their actions. Learn to accept people for who they are, Capricorn. It’s great that you stand up for yourself when someone has done something that impacts your life negatively, but stop judging people for doing things that don’t affect you. Everyone’s different and everyone makes mistakes. If we were all the same, life would be pretty dull, don’t you think? You’re a progressive forward thinker with a heart of gold. You’re independent, confident and only too willing to help others less fortunate than yourself. However, you can be uncompromising, temperamental and aloof. You sometimes let your emotions get the best of you and make snap decisions based on your feelings alone. Following your heart is important but be sure to use your head too. When faced with an important decision, don’t overlook the facts and, when a friend or colleague makes a suggestion, don’t turn them away because of your intuitions. Compassionate, artistic, gentle and wise, you’re a great person to be around, Pisces. However, you sometimes play the victim and blame outside forces for your misfortune. Although you’re not always to blame for the bad things that happen, looking at your own actions and how they have an impact on your destiny could give you a positive and fresh outlook on life. By taking control of your life and accepting responsibility, you can achieve great things and overcome negativity and anger. Stop looking to place the blame, Pisces, and focus on moving on. You sometimes let fear stand in your way and use your suspicions and worries as an excuse not to act. Stop sitting on the fence and make your move. You’re a courageous and determined individual, Aries, but although your great qualities spur you on and enable you to achieve great things in life, they can also be your downfall too. You have a tendency to be impatient and, if you don’t get your own way, you can find yourself causing arguments with others. As much as you love to strive for success, it’s important to let yourself fail every once in a while. Failure allows us to reflect, learn and grow into the people we’re destined to be.